1 Combine Hellmann's® or Best Foods® Real Mayonnaise with chipotle peppers in small bowl; set aside. 2 Heat olive oil in 12-inch nonstick skillet over medium-high heat and cook garlic, onion, sugar and oregano, stirring occasionally, 3 minutes or until onion is tender. 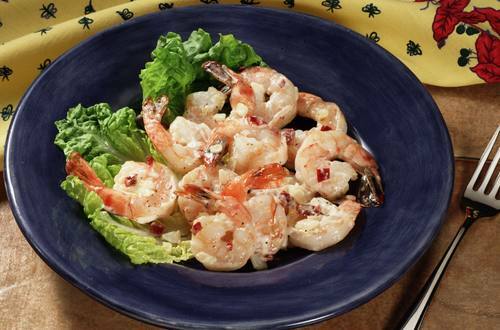 Stir in shrimp, salt and pepper and cook 3 minutes or until shrimp turn pink. Remove from heat; stir in mayonnaise mixture. Serve, if desired, with hot cooked rice.